Small business of a young woman. 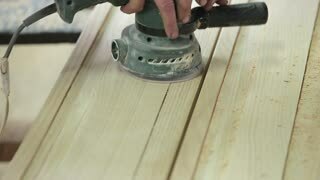 Beautiful young woman worker in carpenter workroom. Old furniture restoration. 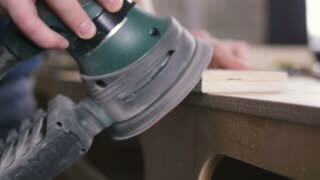 Woman turns sander on edge to sand angled parts of table top. 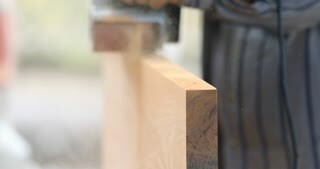 abrade wood by polier machine in worker's hands, closeup. Coachbuilder restoring a vintage car polishing with a sander the body. Close up on the door. 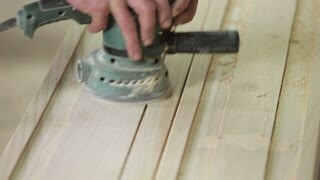 Senior carpenter sanding plank in his workshop. RAW video record. 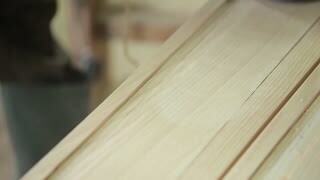 Surfboard making. 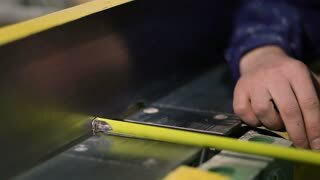 Shaper shaping surfboard. 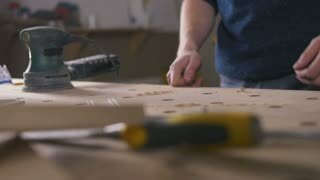 Man working on board. 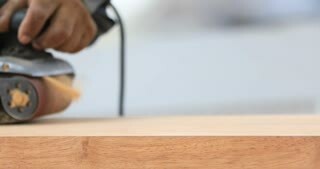 Wooden frame for eyeglasses being made by hand in a workshop. Close up. Young male worker ofautocenter takes care of black expensive car, polishing it with rubbing mashine. Glancing shine.